Egypt’s defence ministry announced the launch of an online portal for conscription services on Wednesday which it said will save time, money and effort. 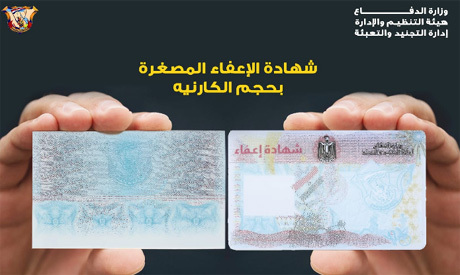 The website now allows young Egyptian males to apply for travel authorisations and exemption certificates online using online payments. Conscription is compulsory in Egypt for all men aged 19 to 35, with some exception on health and family grounds. They are enlisted for one to three years of active duty, followed by a reserve obligation until the age of 35. Service is postponed for students until they finish their studies. Men with outstanding military service obligations, including to the reserves, cannot travel abroad without a travel permit from the defence ministry.